That's exactly what it does. Send to car, tap NAVI and a pop-up window appears asking if you want to begin navigation. 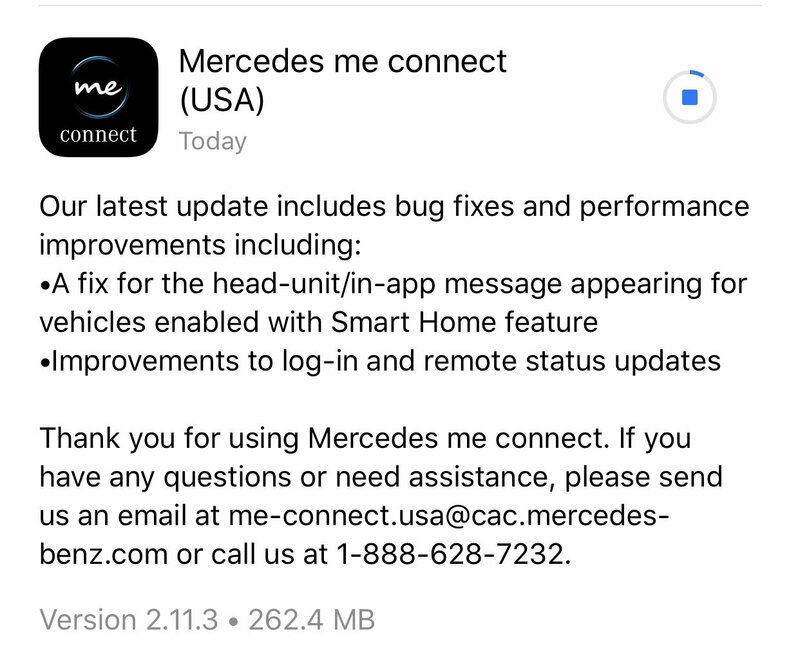 Of course, MB Connect being what it is, sometimes I have had to send it twice. Darn it. I thought for sure you guys would be up and running today. Even my remote start is working like it’s suppose to today. Gives me the ten minute count down and temp in car and all. You guys will be up and running soon. I just tried the send to Benz for where I’m heading for lunch. That works too. Might be worth it clearing your cache and dump the app and reload and start from scratch again because if the software is working for me now it should work for you if you start with a clean slate. I have done that SO MANY times now, I can't count them. I'm done trying to figure this out myself. The car will be scheduled with my dealer this week to have the drivers door window replaced and tinted because it came with a small chip in the glass. I'll turn this over to the service folks and get them to work with Mercedes on sorting it out. I've personally spent too much trying to get something to work, which should work with no effort from me. Harumph Harumph Harump. But I still love this car to death! I can't obviously comment on how Me Connect works since mine doesn't work at all. But it should work similarly to the previous app. Once you send the address via the app to your car, tap Navigation and it should come up and ask if you want to start route guidance. I can't again comment on Concierge Services. OK...I only tried it once; I'll have to try again to see if that works. Got it to work (send directions). Had to tap down to favorites and screen popped up asking me if I wanted to accept navigation route sent by phone. Maybe new to the 2019. If I didn't, the navigation screen would just remain blank. Just tapping the Nav screen didn't work for me. So I can confirm everything appears to work on the new ME connect app. I'll have to try the concierge service later on when I really need it. I can see I won't be renewing that. Just one final question for you Mercedes veterans. I notice in 3D mode the weather with clouds turns darker at night. Does it also show weather changes like lighting, rain, snow, etc. like my Cadillac CUE did? Last edited by rustybear3; 11-13-2018 at 02:30 PM. Just had my now every other day call with the Me Connect team. They say there's been no progress on my case. The first escalation team has escalated to a higher escalation team, but who know what that means? They said there's really nothing I can do on my end. It shows as Pending Activation on the Mercedes servers, meaning their system won't link with my car or app. Cell Phone. You'll have it working soon guaranteed. I suppose your hypothesis is as good as any, since they won't share anything with me other than "it's been escalated." Maybe my call yesterday where they told me they escalated me to a higher level escalation team or they just simply wrote....."Please get this guys app to work so he won't call and complain daily!" But this morning, the app finally connected!!! I can finally see all the cool things this app can do. I'm at work, so haven't tested lock/unlock, but hopefully, they work. Last edited by rbrylaw; 11-14-2018 at 11:06 AM. That is great. But rbrylaw you should still speak with MB about getting an extra year for the inconvenience! I did. They said they can't change the duration of services and to be honest, I'll just forget that I didn't get 2 weeks worth of service in exchange for having the service actually work. All services, with the exception of Concierge Services, which is one full year, are for 3 years. I honestly don't see the need to buy Concierge Services, when the one year is up anyway. Now that's funny! I'd settle for a Latte from Starbucks, but don't think it will be dispensing them either! Wait! Do they have that feature now? How do I sign up? I'm doing the update on my iPhone right now. It better NOT break my newly enabled services. Whew.......The update happened without any interruption to enabled services! Of course on my Samsung Galaxy S9, I had to login again after the update. But, all is well. I'm going to try the remote start tomorrow morning since it will be freezing up here. What amazes me is how fast things update on the cell phone on the app real time. When you lock the doors, ten seconds later on the app it says doors locked. I like how it tells me my convertible top is up. I might be indoors somewhere up on the 45 floor of a sky scraper and think darn its raining out did I put the top up on my car. Just can look on my cell phone now. I also have notifications enabled so it sends me a text real time when things such as door are opened or the car unlocked. This could help alert me the car is being stolen. Now I just need to get a dash cam. 2012 merc amg maybe this belongs in a different thread now that this thread seems resolved...so if so, let me know and I'll create one. Anyway, I read that you get notifications if the door is opened or the car is unlocked. Where did you set that up? I only have notifications options if the vehicle is left unlocked and I've never received one. N.B. - I use android so apple may have more advanced functionality.